There were essentially two ways to make a decent living as a radio actor. The most obvious way was to become a headliner; if the show was named after you and the sponsor felt that you were bringing in a lot of money, you didn't need to worry whether there was going to be meat on the table. The other way was to be so versatile that producers could use you in any role that came along. In movies and TV, there had to be a series of new faces or the audience would lose the ability to suspend disbelief. On radio, it was just a matter of changing a voice a little bit, putting it in a different setting and the same actor could portray dozens or even hundreds of characters. Alan Reed drew on the dozens of dialects that he heard while growing up in the Washington Heights neighborhood of Manhattan, and became one of the most versatile character actors in the industry. 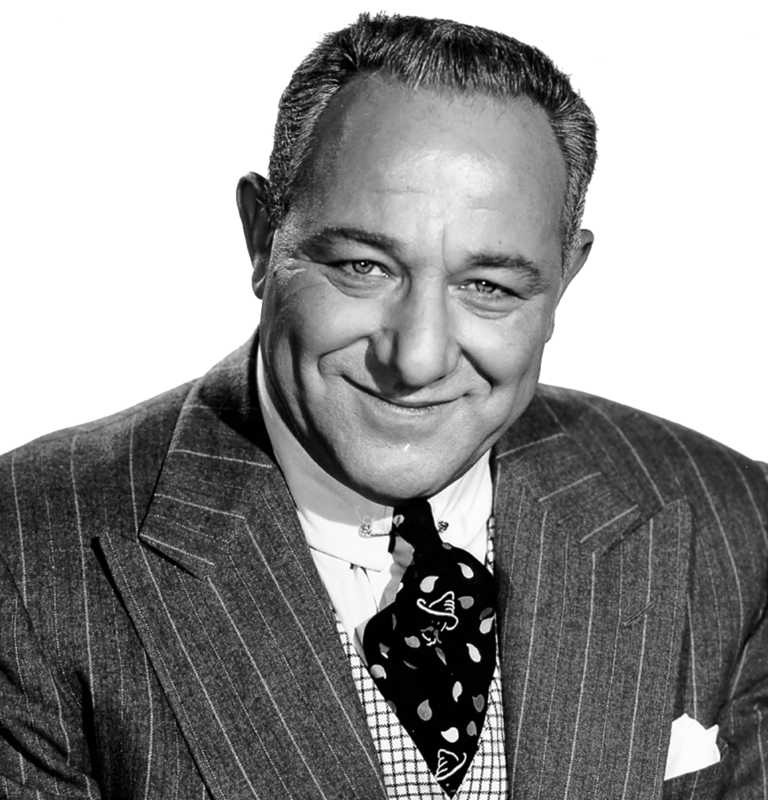 However, no matter what role he was playing or what the character's background was, whether it was Solomon Levy on Abby's Irish Rose, the demanding plant manager on The Life of Riley, Italian immigrant father with a large daughter to marry off on Life With Luigi, or self-important poet Falstaff Openshaw from Fred Allen's Allen's Alley, if you listen closely there is no mistaking Alan Reed's voice in any of them. Born Theodore Bergman in 1907, Reed turned to stage drama as an escape from the domestic drama that dominated his young world. His maternal grandfather, Abraham Greenberg, dominated the family. As a Lithuanian Jew, the old man looked down on his son-in-law's Ukrainian background and drove a wedge between the couple. There were loud, hurtful fights in the family's apartment, fights that left little Teddy in tears. Eventually, he turned to stage drama to escape the domestic drama. Teddy was an exceptionally bright pupil and able to skip ahead three times in grade school. It also meant he was the youngest and smallest in his class. His homeroom teacher took the class to see a production of The Merchant of Venice and Teddy was so enthused after seeing the play that the teacher offered him the role of Shylock in the class's graduation production. The acting bug bit, and bit hard. Grandfather Abraham would have none of it, however, and insisted that Teddy would go to college and enjoy the education he could not. Teddy enrolled in Columbia University to study Journalism and hated every minute of it. He had no passion for reporting, but he did enjoy listening to people in his ethnically diverse neighborhood and imitating their dialects. He finally quit school to make a move into radio. Radio was still learning how to be radio in the early 1920's, but the devices were appearing in living rooms all over, and broadcasters needed to create content using actors who were willing to miss out on the glamor of stage acting. 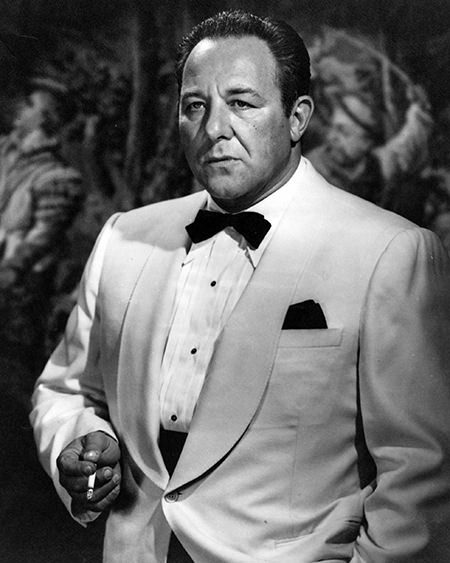 Pudgy, 19-year-old Teddy walked into a producer's office where the secretary snickered at him and said the only role available was for a mobster, and there was no way this kid could play a mobster. Teddy waited until the secretary went to lunch, snuck back to her desk and called her boss. In his best Italian accent, he told the producer: “I'm just gonna tell you somethin'… I'm comin' into your office in a couple of minutes. You're gonna give me a job, or you're goin' for a ride.” This was radio, after all, and the producer hired him on the spot. Early in his career, Teddy used his real name for serious roles and adopted Alan Reed for comic parts, partly to save his family embarrassment. Soon he took the new name for his own, and when his son Alan was born he began billing himself as Alan Reed Sr. As radio began to lose ground to TV, Reed tried to make it in the more visual media. He had some success in character roles in film, including The Postman Always Rings Twice (1946), The Redhead and the Cowboy (1951), and Viva Zapata! (1952). In 1955, he provided the voice for the Russian Wolfhound in Disney's Lady and the Tramp. 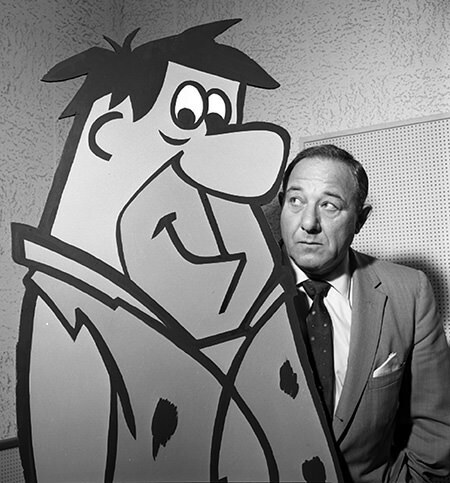 The role Reed is best remembered for is Fred Flintstone. Hanna-Barbera's decision to try a prime-time animated series was a risky one, even though the concept of placing a situation comedy based on Jackie Gleason's The Honeymooners appealed to sponsors. To Reed's credit, rather than imitate Gleason's clipped, flat cadence, he used the rich, burly dialect he had grown up with.